Since the advent of the shebeen, you’d simply need to stock your fridges and wait for patrons to visit. Nowadays you have to up your game. This includes renovating your establishment, rigorous marketing and advertising, playing good music through a quality sound system, investing in a flatscreen TV, and above all, good customer service. Spotong embarked on quest to uncover what kinds of party experiences are being provided in the market these days. Our first visit led us to Sebokeng, Evaton North, to the family-owned Vaal Monate Cafe where the always cheerful co-owner and manager Lehlohonolo ‘Jomo’ Tsotetsi told us about their annual year-end all-white party. He says it is their biggest event of the year. They also host a bowtie party for his younger brother’s and co-owner’s birthday, a Thursday Divine Night themed for their resident DJ Divine, and the Mondays Free Mogodu Special. The year-end party is in its third year and commands an entrance fee of R250, while food is served in the house by a professional chef. On this day top DJs and celebs are given Most Valuable Guests comps and treated to free drinks. Jomo says, “In five years’ time the event will be pre-booked around March since it gets bigger and better every year”. It increases the number of customers and profit margins grow dramatically as a result.” The pub boasts ample parking space, a car wash and two bar areas, of which one is dedicated as a VIP area with a bouncer. Recently they have started collecting soccer stars’ shirts which are framed and displayed at the bar area. The venue employs 43 dedicated staff. Since the advent of the shebeen, you’d simply need to stock your fridges and wait for patrons to visit. Nowadays you have to up your game. This includes renovating your establishment, rigorous marketing. “My personal experience is to always be involved in all the aspects of the business. Live it with passion, compromise, and sacrifice. Invite people everywhere and entertain them,” he says. 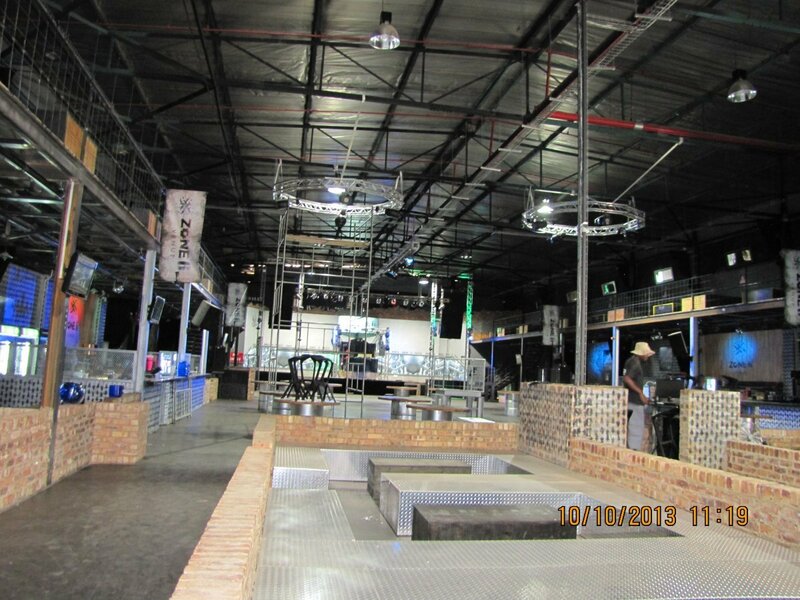 From there we were off to Soweto, Diepkloof, Zone 6 Venue, which is located within the massive Bara taxi rank mall. There we met the soft-spoken Prince Mazibuko, the manager, who showed us around indoor events venue. It opened its doors in December 2012. The main entrance is strictly for pre-sold and cash paying patrons and a strict entrance screening awaits you. is mainly used to push product stocks for sponsors. Social media and signage are as marketing tools,” he says. Next, our quest took us to Soweto’s Orlando East, a place well-known for the landmark twin towers. Nestled between the towers is a venue called Chaf-Pozi and here we spoke to the manager, the very relaxed Lucky Zhole. The venue is mainly used by organisers and sponsors to market their brands. It draws famous DJs and celebs alike. In September it hosted the All Black Party and during November and December months it serves Christmas parties. Entrance to this venue is usually free except on gig days when you can expect to pay R50 to R80. “The bungee-jumping sport is also a draw to the patrons as well,” he explains. According to Lucky, on average 60 to 70 people visit the spot to wine and dine while tourists also flock the area. Our tour saw us venture into Rockville’s The Rock! The owner, Tshepo Pele, said he works closely with fashion design people in Soweto to hosts their shows. He says this bring customers for the after-party. “We also host celebs birthday parties. Alaska, the music group, hosted their 17th birthday together in August and Mahota also hosted his birthday party here in July. We feature local DJs who play deep house tunes. On some occasions famous ones DJs feature too,” he says. 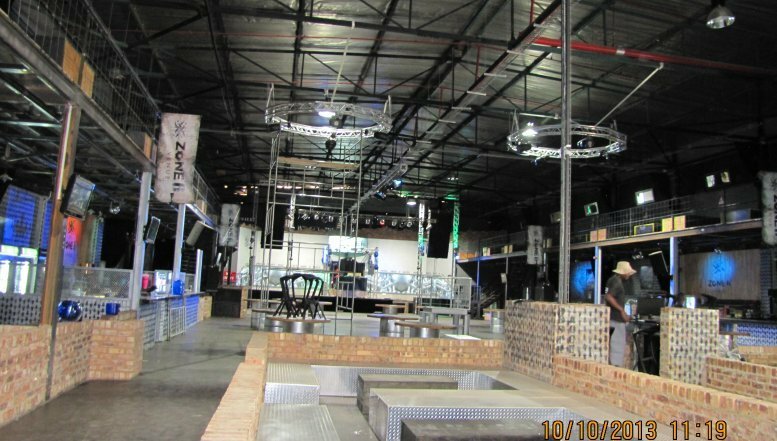 At the Village Cafe at White House in Vosloorus, the ever-humble event manager Vincent Mahlangu said the venue approaches sponsors for their events. He lists their list Absolute Vodka event held in September, their annual Hunter’s, Heritage Day, Women’s Day event (mainly featuring female DJs), their Jameson parties held in April and November, their whisky- and cognac-tasting weekends and East Leisure, the weekday Thursday networking session for business owners. The venue incorporates two floors. The ground floor boasts a restaurant and the upper floor has two lounges: the Glenmorangie and the Hennessy sitting areas. These days selling liquor is a very serious business and traders have to adhere to the liquor trade laws. Creating the right party experience for your patrons is the key to doing well in your business.